Join your community in recycling work by collecting recyclables and getting the items to the nearest Tzu Chi recycling points – there are nearly 40 locations island-wide. As you sort out the recyclables, one may realise the need to cut down on the waste that we produce! Children are most welcome to be a part of the event and learn more about the recycling process. 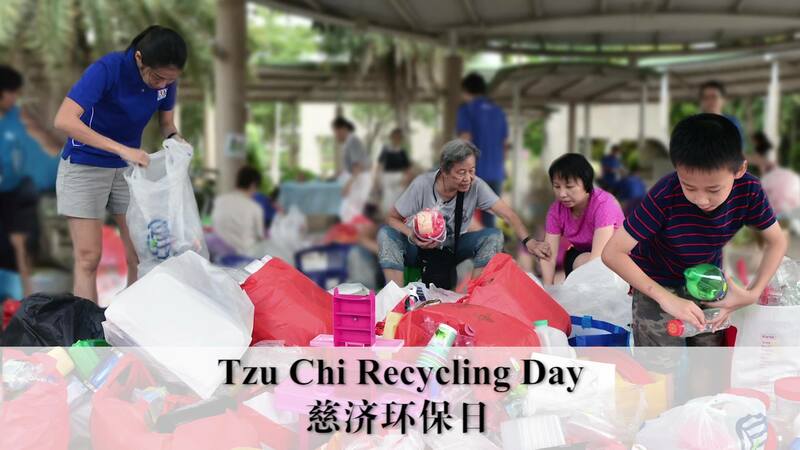 Volunteers from Tzu Chi will be around to guide you with the recycling work. Posters containing information about environmental conservation are also put up at every recycling point to promote environmental awareness and eco-living.